After aiming to develop blog most of the bloggers tensed about On Page site optimization and Off-Page Site optimization. It is not so easy to get a new blog in top rankings Unless you are aware of On-Page and Off-page site optimization techniques. In this article, I am going to explain each and every technique involves On page site optimization. Understand each and every tactic of On page SEO optimization which drives traffic to your website. Search engines give much importance to SEO. Because SEO is the best way to increase Blog Traffic and visitors. ON Page SEO makes your blog Search engine friendly. Seo is the only friendly way to drive traffic and rank your post in Google. If you don’t Know the techniques of on-page SEO you won’t get targeted traffic from google like search engines. Google gives importance to your Site only after applying On Page Seo optimization techniques. On Page SEO optimization is nothing but what you do inside your blog and posts. On page Seo is involves improving Title structures, Meta tags structures, Maintaining Keywords, URL Structure, Meta title & Meta Description, Headings, Robots.txt, Image Alt tags, Internal linking Sitemap submissions. People use many SEO techniques read all the techniques mentioned in this post and Expertise in SEO. You may ask Does On Page Seo Optimization Works??? Definitely, as the content is the pioneer most of the techniques involved in building quality content, Google likes quality content and gives more importance. Moreover, You want to be aware of Off-page optimization techniques like link building. Doing over link building sometimes will affect your rankings due to algorithm updates. The only thing which can give you good rankings in Google is following Seo optimized high-quality content. Content is the thing where you need to concentrate, Create creative and unique content which drags users attention. Avoid copying content from other sites this will not fetch you a penny because many sites are now protected and search engines are smarter releasing updates which will detect duplicate content and penalizes the blog. Be aware of such bad practices. Writing very short articles or very lengthy articles will also affect your Seo. You are required to maintain the length of your Article /Post. Google gives importance for articles with a length of words count 300 – 500 words. Remember to write lengthy posts only when required. Title of Post is the heart of the article because Post title is where the users will see. Seo optimized title includes a good number of keywords So when creating post title include all catchy, targeted keywords in the title which will drag user attention. Don’t use very short titles. Ideal length of the title is about 100 characters. Keywords in posts play a very important role in On Page SEO optimization. At Budding stage never try to rank for short-tailed keywords. Include or use long-tailed Keywords Which brings minimum traffic at the budding stage from Search engines. If you are aiming short-tailed keywords unknowingly you are ruining all your efforts. So to get better rankings on search engines to target long keywords. Including all targeted keywords in the content is also an important consideration in On Page Seo optimization. Common fault made by most bloggers while writing posts is repeating keywords intentionally, Including keywords at unnecessary places. Avoid this type of practice instead of helping it will reduce your rankings, Google treats this as Keyword spamming, Keyword Stuffing. Include keywords cleverly in between sentences which makes sense. Don’t reduce your reader base by including keywords at unnecessary places. There is no certain keyword density, Maintaining keyword density of 2% to 3% is considered as safe. Headings and Subheadings play the key role in On Page Seo optimization. Search engines give more importance to H1 to H6 tags. By default, Your post title is H1 Tag. Your job is to use H2, H3, H4 – H6 tags for subheadings. Include relevant keywords in subheadings this will helps you a lot in rankings along with this your post appearance will be attractive. 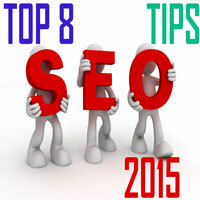 Seo optimization for Image involves adding of Alt tag to the Image. All you need to do is after uploading an image click on it you will be shown blank space beside ALT tag includes targeted keyword text. By including Alt tag google knows about your image. This is one of the best practice of On page Seo optimization. This is one of the best technique of Seo Optimization. It allows the user to navigate from one post to another post. Internal linking not only allows users to navigate easily it also reduces bounce rate too. You can Interlink as many relevant posts. All you need to do is just include hyperlinks to other posts of your blog in between occurrent post. Do it cleverly. External Linking is where you can increase backlinks. This is an awesome technique in link building. Include High Page rank Links in between posts this will increase your rankings. Do this by mutual understanding. Remember don’t include “No Follow” attribute Links this will fetch you nothing. Url structure is nothing but a title which gives the summary of the article. Permalink Url structure is where you need to concentrate, Url structure should not contain more than 3-4 words, Users shouldn’t feel a burden to remember the URL use simple catchy words. Note: Don’t use Url structure same as the title which is treated as stuffing. Robots.txt means a file which is composed of permissions for bots to access your WordPress content. Customize your robots.txt file and give access to only certain content like Media, Tags, Posts, Links, Pages etc…. Note: Don’t edit the robots.txt file if you don’t have knowledge about Robots file. Leads to crawling errors. A broken link means a link which is not reachable by the user on your blog. External linking will also harm sometimes ie when link owner changes its link structure you must also update link in your post. If you failed to do so it turned as a broken link. So check your blogs for broken links. Page not found is also similar one these 404 errors appear in your Google webmasters tools due to Crawling Errors. Page Speed insights and Load time are one of the important contributions for your site rankings. If your page load time is low your rankings will gradually increase So try to Improve you Blog Load Time and Maintain Page loading speed. When you write a new post unless it gets indexed on the Search engine you will not experience organic search. So to index your blog or site you are required to submit Sitemap. Submit sitemap to Google and other search Engines. Crawl errors can be seen under Google webmaster tools or Search Console. Crawl errors appear because of Not found, 404 Errors, Broken links. Crawl errors will reduce your blog rankings so you are required to fix your blog errors to improve your Google SERP rankings. 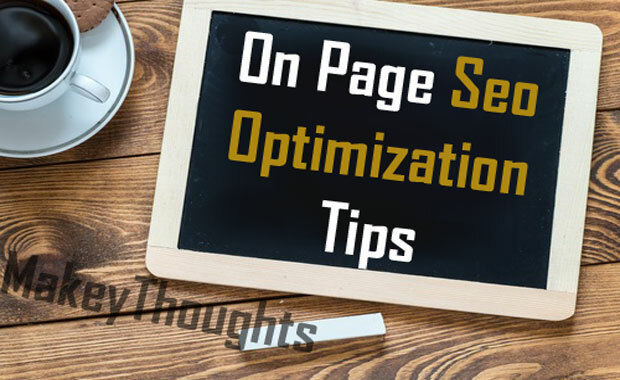 This also key optimization technique in On Page SEO Optimization. Great list of on-page SEO strategies. One of my favorite technique that you’ve mentioned on your post is broken linking. It is very effective. But just be patient on looking for a website with 404. Great Article….. thanks for sharing with us. I have .com domain – ex – abc.com domain and its English language website. ok? I want to target it internationally so what country should i select in webmaster tool and what hreflang code should i use for it?? please suggest me.. Many thanks for sharing such great on page techiques. DO follow this page for hreflang settings..https://support.google.com/webmasters/answer/6059209?hl=en…described picture clearly………….